Joey DiGuglielmo was named the Director of Music at Christ Reformed United Church of Christ in September 2018. He has many years of experience as an accompanist and choir leader at churches in Pennsylvania, Virginia, Maryland, West Virginia and Washington, D.C. 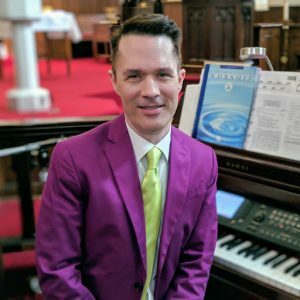 He has extensive training in both piano and organ, having studied piano from second grade well into college, and taking organ lessons at various times since 2003. He earned his bachelor’s degree from Shepherd University with a major in mass communications and a minor in music. In addition to accompanying all congregational singing, Joey also serves as choir director. The choir is currently composed of 13 members and always welcomes new voices. There is a balance of soprano, alto, tenor, and bass. Published choral works are the mainstay of the choir’s collection, and the choir always works to prepare special music for seasons such as Christmas and Easter. There is no specific requirement for participation in the choir. The ability to read music parts is encouraged but is not altogether essential — a mere love of spiritual music is all that is expected. The choir’s special music selections come from a wide variety of music types including gospel, traditional hymns, and published choral works. Please consider allowing your love of music and your talent to enrich our choir and the worship experience at Christ Reformed United Church of Christ. 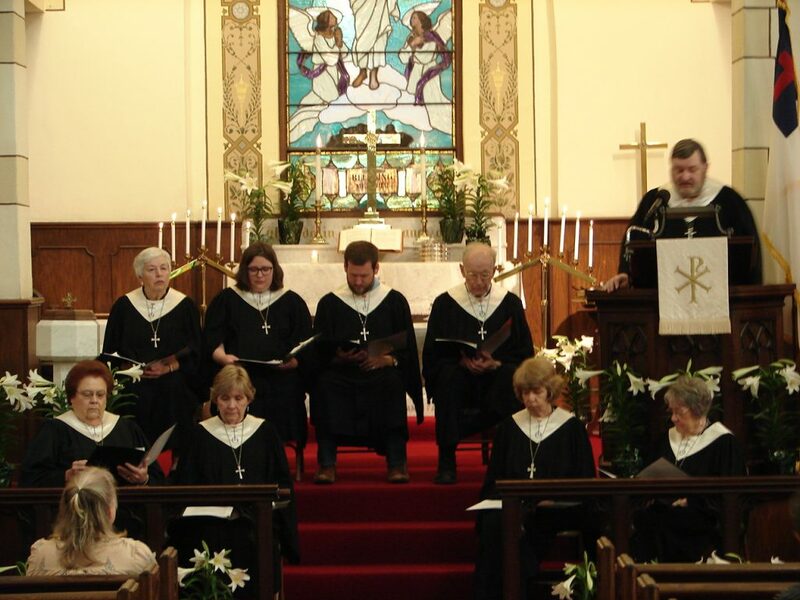 Music is an integrated part of the church’s Sunday service as shown in various segments of a typical bulletin.